The cage around the feeder allows only small birds to get the food instead of grackles and other large birds that I do not want to feed. It works like a charm. 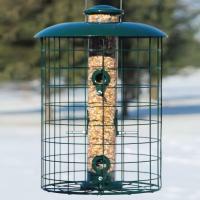 The smaller birds love it and it is worth every penny. 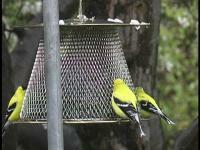 The birds party at the feeder daily. The squirrels are content with the droppings. 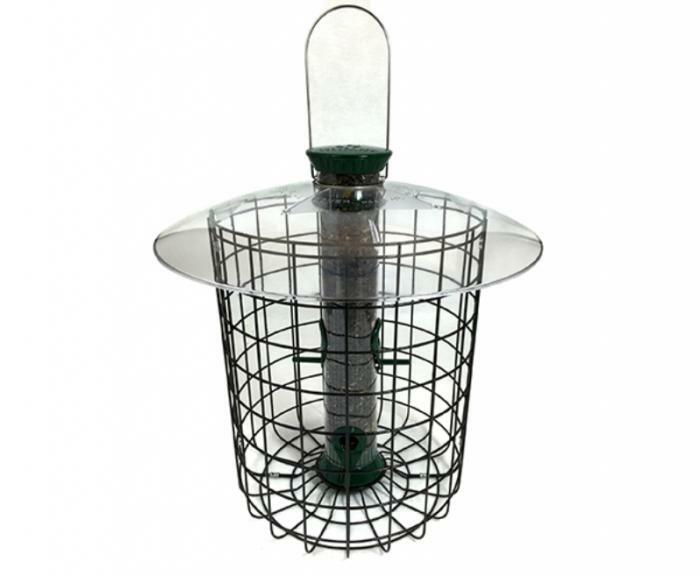 Droll Yankee makes an excellent product! 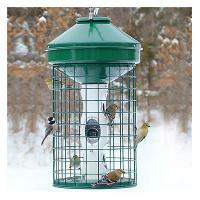 This feeder is great and the squirrels can't get in. 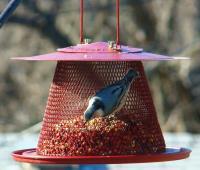 I find that I am using a lot less seed to feed the birds.